Search Engine Marketing or SEM involves promoting your website on search engines through a mix of SEO and advertising campaigns. These advertising campaigns also referred to as Pay per click (PPC) campaigns are a more effective way to drive new visitors to your website. 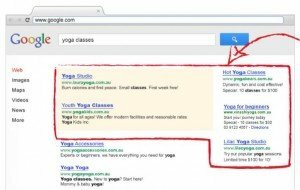 Google AdWords is the main PPC program and the ads are placed at the top and on the side of Google’s first page when users type specific keywords. A PPC campaign works like an auction: you put a budget (your bid) on keywords and an algorythm serves your ad when these keywords are typed into Google and according to your bid. You only pay the price of your bid when someone clicks on your ad. Other factors than the bid price are taken into account by the algorythm to place (or not) your ad. The highest bid doesn’t guarantee a placement for your ad, it only improves the probability for placement. 1Define your goals: what are you trying to achieve? Take people to subscribe to your newsletter? sell products?… Identify the most relevant keywords for your business. 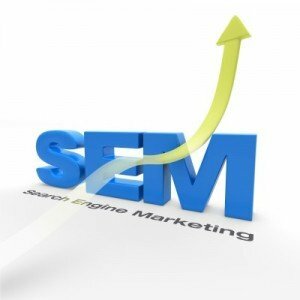 Decide on your maximum CPC (cost per click) for each keyword and on a maximum daily budget. 2Write strong targeted ads for your audience. Link them each to specific landing pages on your website. Set up your campaign to match your goals and launch it. 3After your campaign is launched, monitor and adjust it to ensure that the cost per click translates into effective business through your website. Modify your ad or change your daily budget or keyword bidding amount to achieve your business goals. Although this may seem pretty straightforward, benefiting from professional advise will ensure that YOU get the rewards from the money invested in the PPC campaign and not only Google! A poorly thought or poorly designed campaign can easily translate into more visits to your website without any conversion into real tangible business, and will quickly drain your advertising budget without benefit.